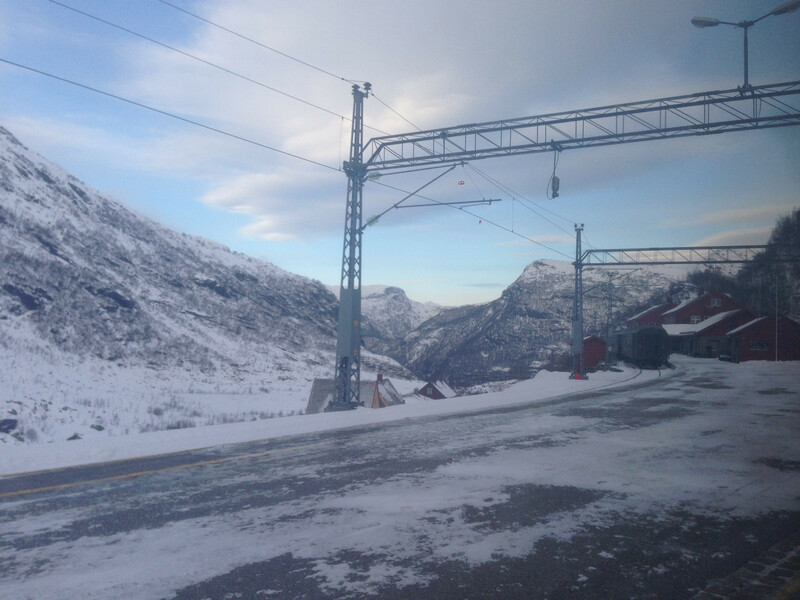 If you like remote living, consider Norway. 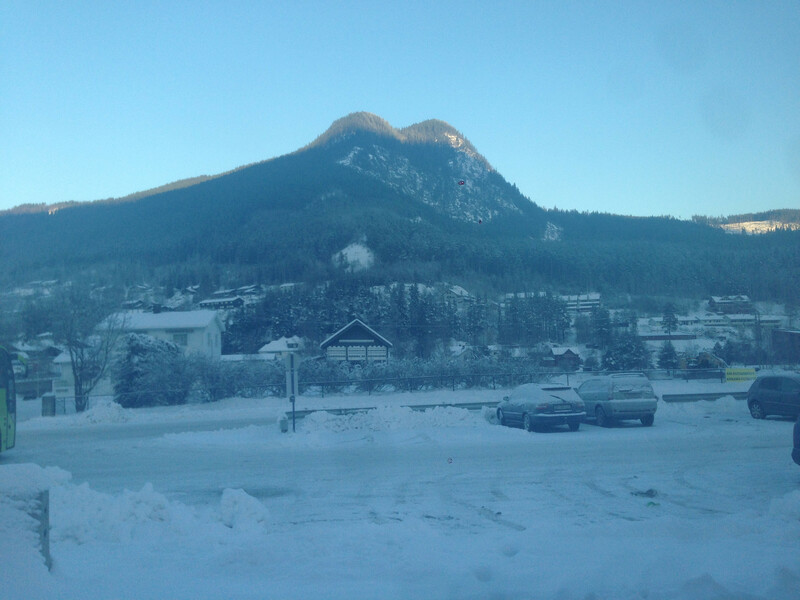 One of our last stops before descending out of the mountains. 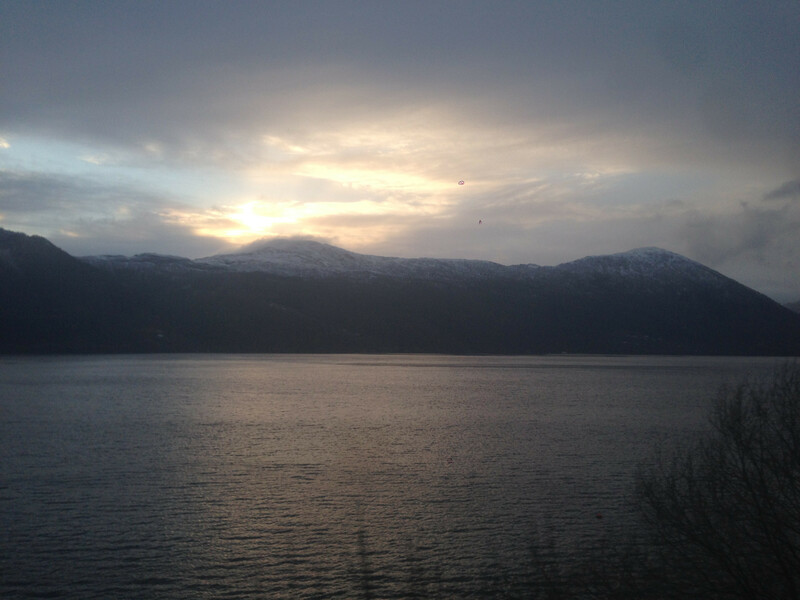 We left Oslo about ten minutes late but arrived in Bergen early which was nice! 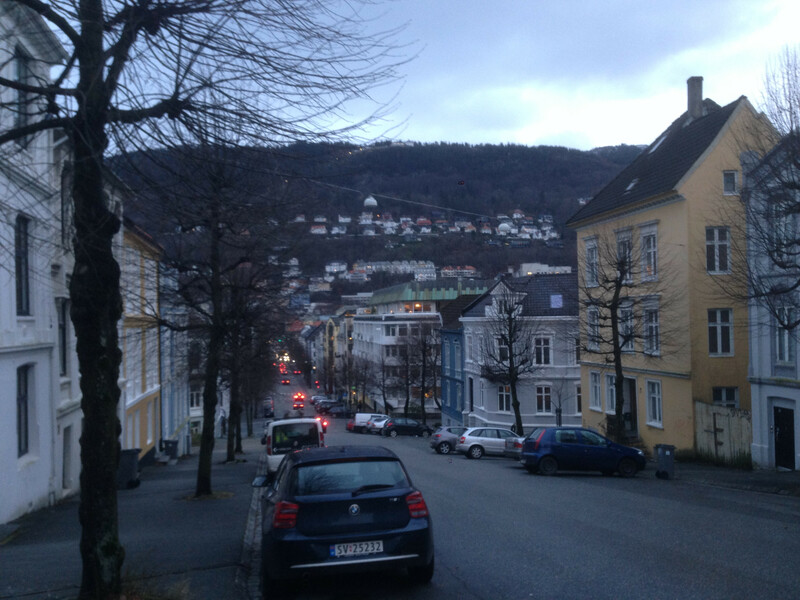 It was a short walk to my hotel but up a giant hill…kind of reminded me of San Francisco. It doesn’t look very steep in the picture but it was! 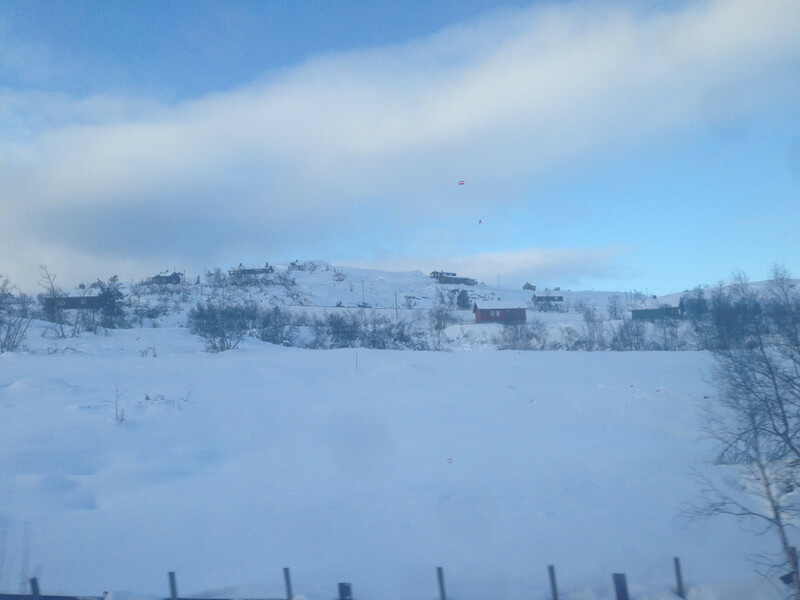 The hill opposite from where I was has a funicular railway up to the top which is one of the most popular attractions in Bergen. 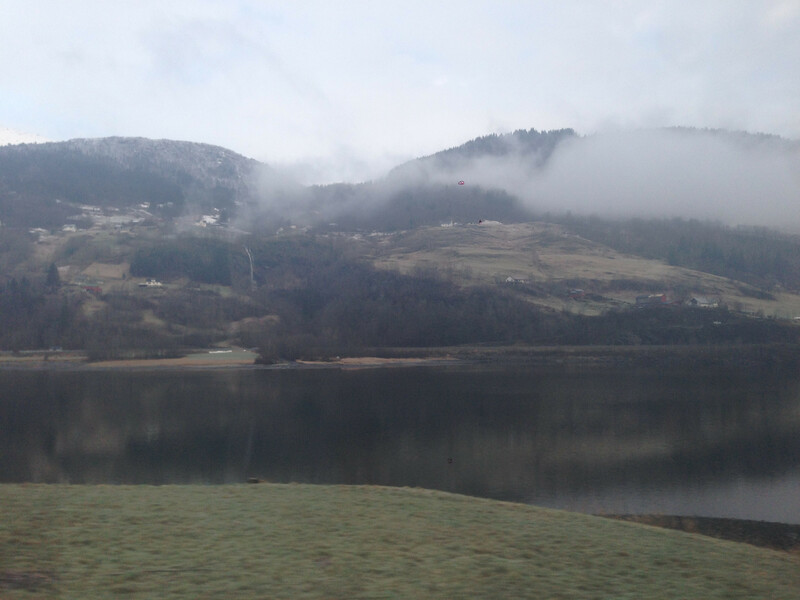 After I got to my hotel, the rain started. Unfortunately it didn’t really let up until I was leaving the next day. But alas I was there and I was determined to at least do some things! 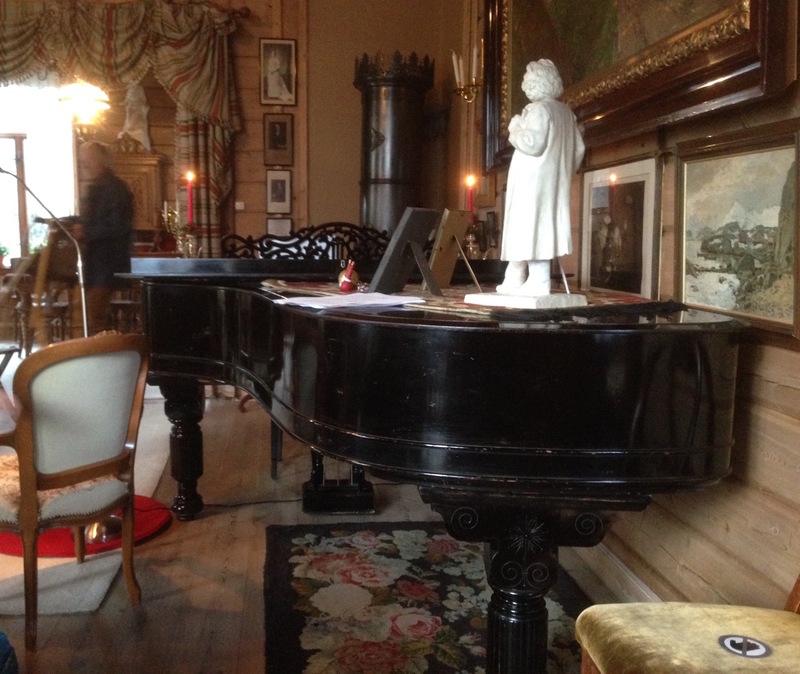 I decided to go to the Edvard Grieg Museum the next morning. 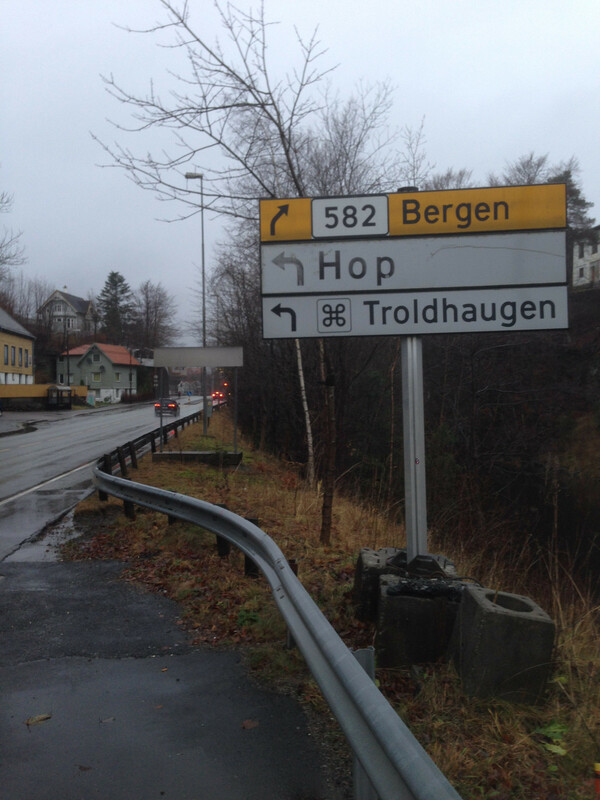 This involved taking the light rail about 20 minutes south of Bergen and then walking about a half hour in the rain – but I did it with minimal complaining! It was pretty quiet on a Sunday morning so I got to walk all around nearly by myself. 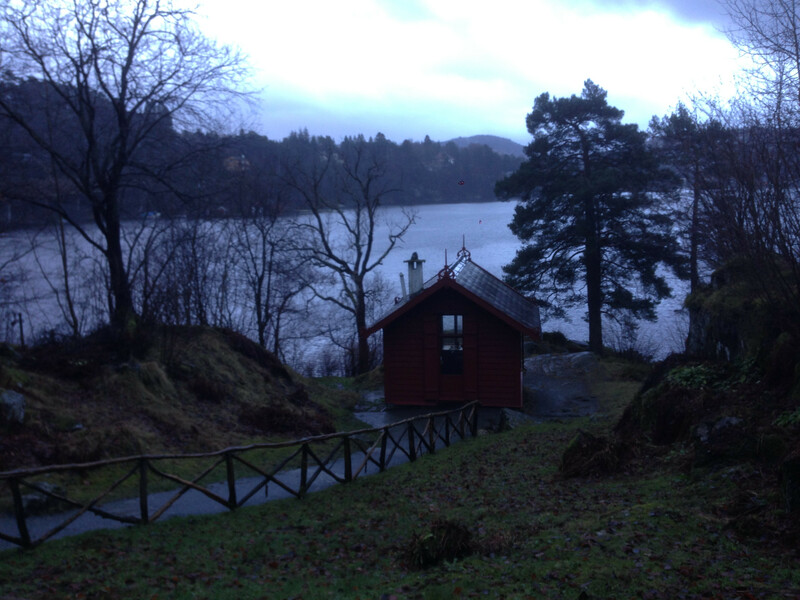 Grieg had a hut down by the water where he could get some quiet to compose, literally called the Komponisthytten. 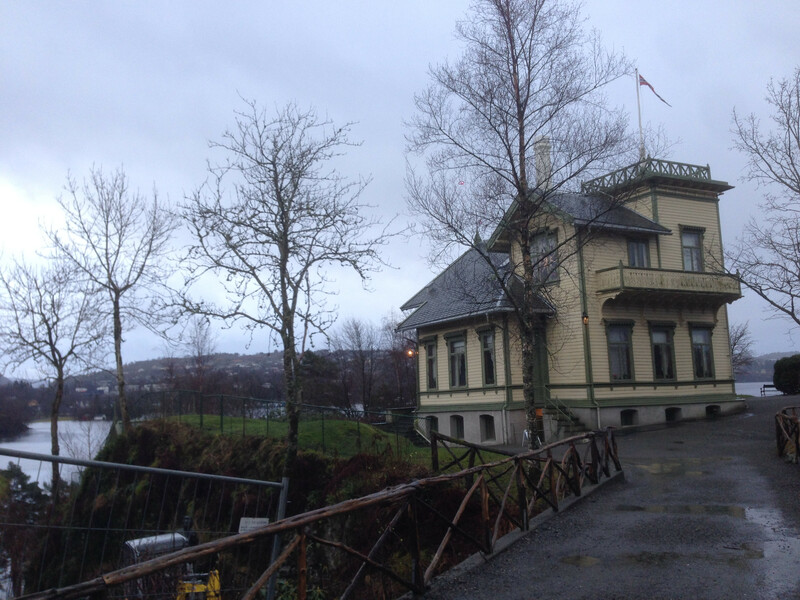 I made it back to Bergen and being thoroughly damp I decided to call it a day. I’d like to go back in the summer so I could see more but I did enjoy what I got to see! And, to top off the trip I flew back to Copenhagen on a relatively new plane with a new interior inspired by the 787 which they build in Charleston. I may have been the only person on the plane who noticed? Back in Sweden, my hand continues to heal well! I won’t post a picture because I know medical stuff creeps some people out (myself included). I hope it will be mostly healed by the time I come home, which is in less than two weeks now!